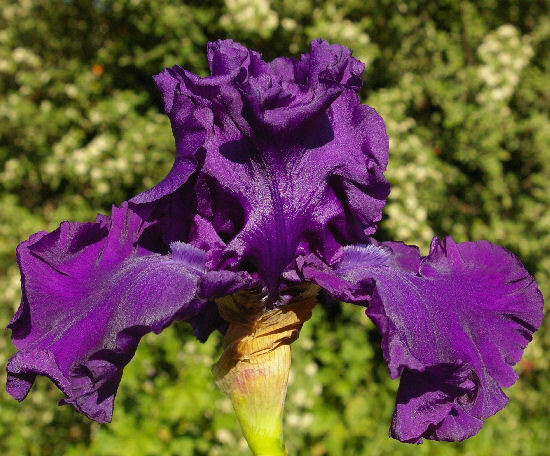 Tall bearded Iris Purple Ritz (Lesley Painter, 2003) TB, 36 inches (91 cm), M Ruffled deep violet purple, F. lighter around blue purple beard; style arms deep purple. Indigo Princess X Titan's Glory. HM 2005.